As Korean beauty products become more and more popular all over the world there are also new brands evolving and more countries start to carry Korean beauty products. A while ago I was contacted if I would like to try a Korean product, which has been released in Hungary now. 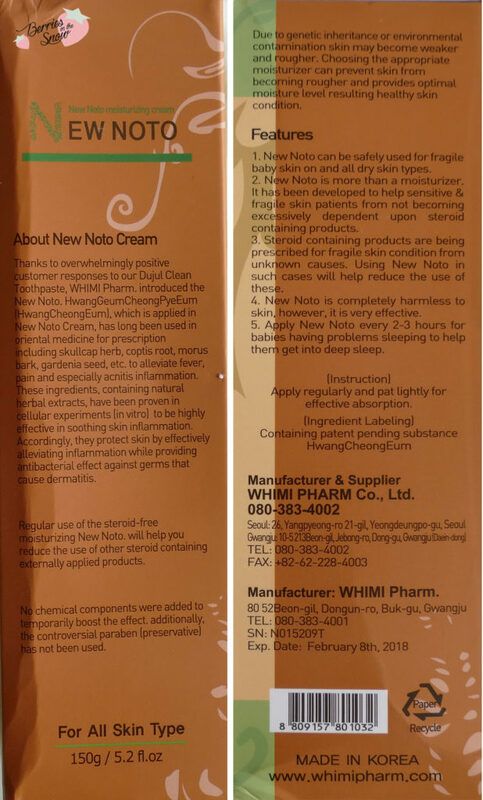 The cream is called New Noto Moisturizing Cream and is a pharmaceutic multi-purpose cream. 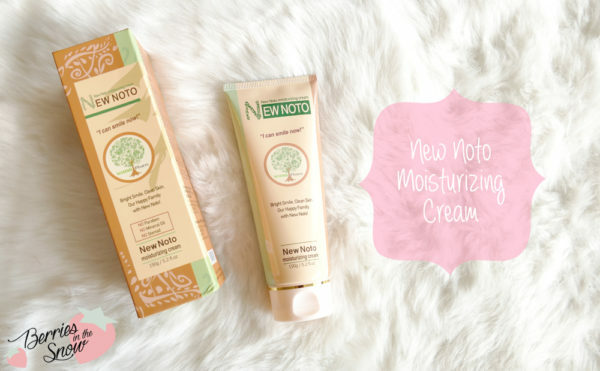 New Noto Moisturizing Cream is a cream containing patented plant ingredients and is manufactured by Whimi Pharm, a pharmazceutic company. It is baby-friendly and doesn’t contain steroids, or parabens. It is supposed to provide deep moisture without feeling heavy, reduce wrinkles and tighten the skin and calm and soften the skin as well. The cream comes in a large tube containing 150 g and it is really a lot. That’s great. because since it is designed as a multi-purpose product it can be applied all over your body, including face and under-eye region, but also as hand cream for example. You can check the ingredients via COSDNA. 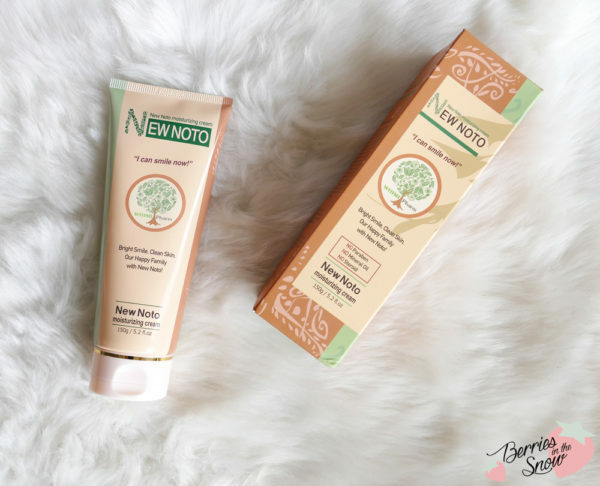 The key ingredients of the New Noto Moisturizing Cream are Baikal Skullcap Root, Barberry Root, Morus Bark and Gardenia Extract. Baikal Skullcap Root has been used in Chinese herbal medicine for more than 2000 years. It is an antioxidant and has anti-inflammatory properties. Barberries are anti-fungal and have astringent properties (by the way I love barberries, especially as garnish of rice). Barberry Root is used intraditional medicine on sores, burns, acne and itch…and many more. Morus Bark has whitening properties and enhances the healing capathities of the skin. It can also reduce the appearance of fine lines by restoring fibrillin. Gardenia Extract has a slo a lot of antioxidants and acts antibacterial. Moreover, the cream contains olive oil. Some of the ingredients can be potential acne triggers or irritants, so be sure to patch test before. I was a bit surprised that it contains a bunch of fragnances, but is declared baby-friendly. I’m not sure if it is (?!). For my personal use I didn’t experience any negative effects from this cream. 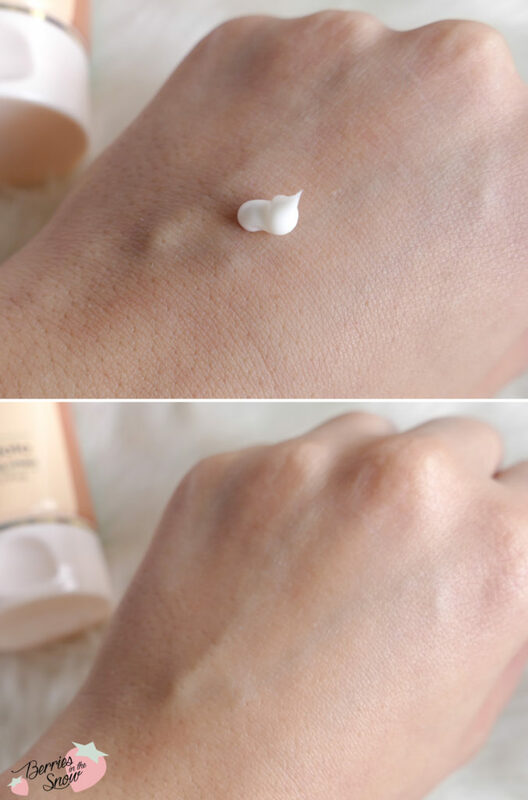 The white cream spreads easy and feels cooling, but doesn’t leave greasyness on the skin. It fully absorbs and doesn’t feel heavy or sticky either. The scent is a fresh, but nice one. I used the cream as day and as night cream and also tested it on my body. It gives some moisture to the skin, but it is not enough for my dry sintype. I prefer a more heavy cream, especially in winter. I liked to use it on my body though and I guess it will be a good moisturizer for oily skintypes. 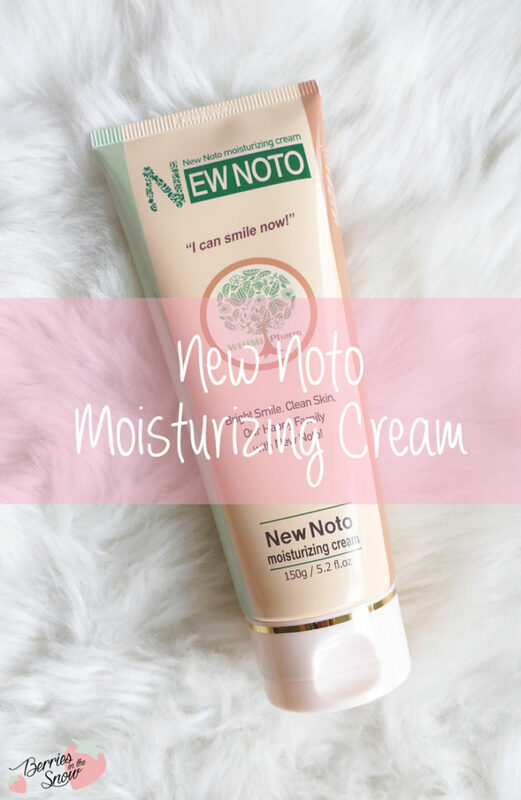 The New Noto Moisturizing Cream is a light moisturizing all-purpose cream, which is great for people who like to have as few as possible cosmetics products. The cream can be used all over your body. As a facial cream it is not moisturizing enough for me, although it is nice how quickly the cream absorbs and doesn’t leave a greasy feeling either. I’m using this cream on my body mostly, since I prefer more heavy creams for my face at the moment. This could be a nice cream for people with oily skintypes. The tube retails for 30 US$ including free shipping and Money Back Guarantee. I really like that you have the opportunity to try the cream and give it back if you are not satisfied. So why not give it a chance?! Just as a short reminder: All products mentioned and reviewed on this blog are of my personal opinions. 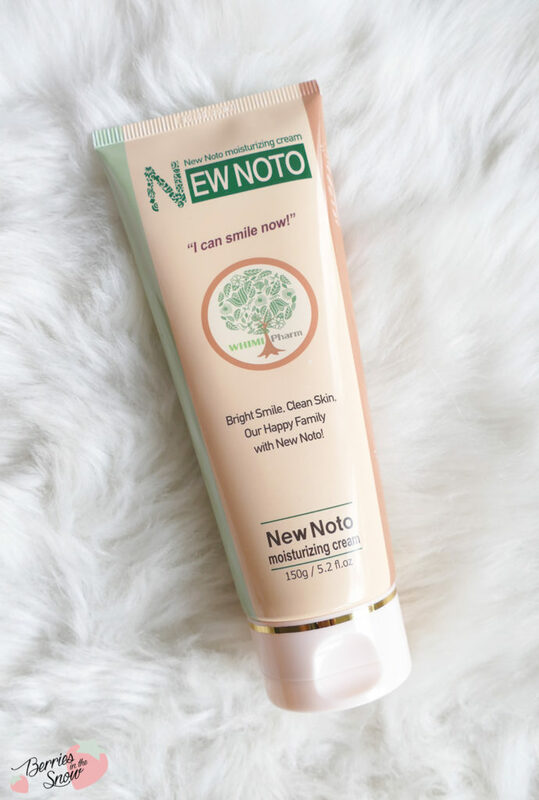 This product here was sent to me for reviewing purpose by http://notocream.com/ which doesn’t influence me in providing my honest opinion on the products.